Ben Koller is a on a mission to save the city’s most famous—floor. 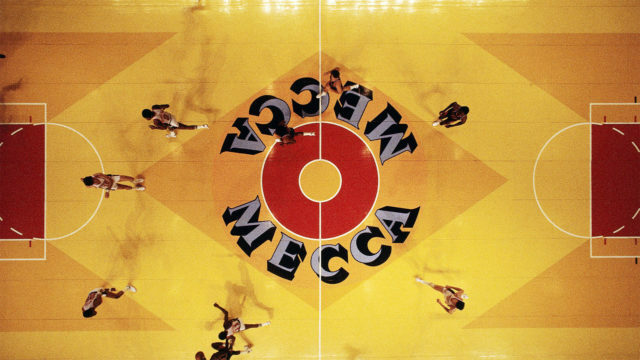 If you’ve lived in Milwaukee a while, you have seen that iconic MECCA court—huge mirrored ‘M’s for Milwaukee, outlined in geometric sections and painted in bold primary colors. World famous pop artist Robert Indiana hand-painted the floor in 1977, and it was the home court of the Milwaukee Bucks and the Marquette Golden Eagles until 1988. When both teams moved to the Bradley Center that year, the floor stayed behind. Then, more than 20 years later, it showed up for sale on a website similar to Craigslist. Foreign investors had planned to sell it in pieces and triple their money along the way, Ben said. That’s when Ben’s dad, Greg Koller, stepped in. He used his own money to purchase the floor, keeping all 240 pieces of its original form intact. And even though he didn’t have plan in mind, he knew that he couldn’t let the floor leave Milwaukee, Ben said. With that, he left the MECCA project in his son’s hands. 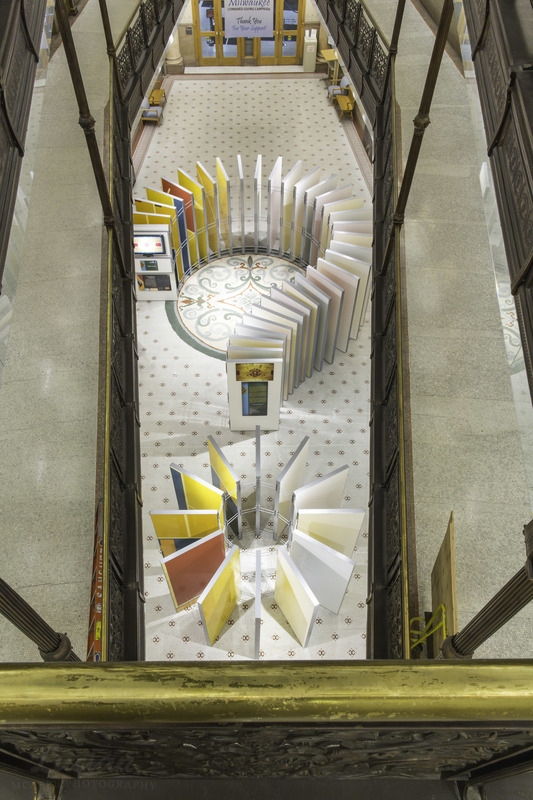 It was displayed in Milwaukee’s City Hall in 2012. 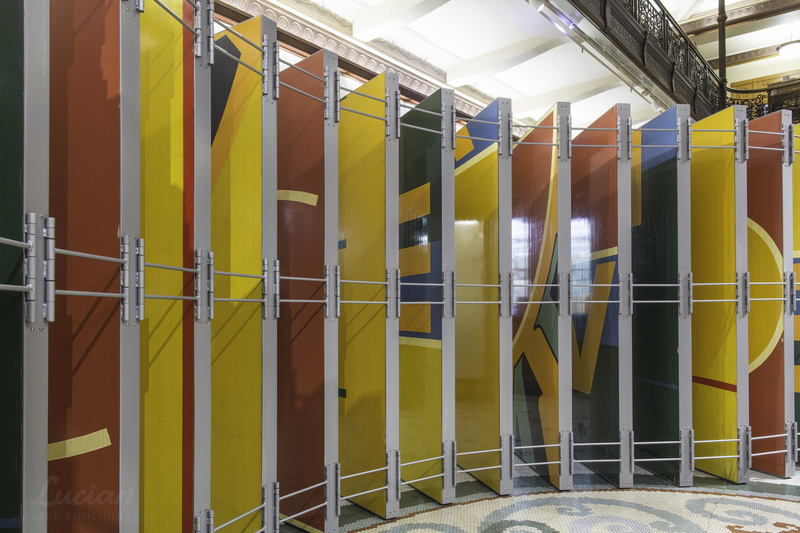 The panels of the iconic MECCA floor were arranged into this instillation in the form of a question mark, mirroring our question: What’s next for the MECCA floor? It is still searching for its permanent home. To join Ben in the official search for the MECCA’s future, visit the MECCA floor’s website. In 1977, famed pop artist Robert Indiana used a basketball floor as the canvas for the World’s Largest Pop Art Painting. Unifying seemingly opposite mediums of sport and art, Indiana created a symbol that transcended time. Now, what will happen to it?